As way of a brief introduction I am very honoured to have been elected to represent Loton as your Unitary Councillor which includes the parishes of Great Ness and Little Ness. Please feel free to contact me via email edward.potter@shropshire.gov.uk or on 07779117802 if you have any issues. I shall be attending parish council meetings and would be happy to meet with residents before hand or alternatively I will be happy to come and see you at a convenient time. It has been a whirl wind few weeks settling into the role with various training sessions and briefings. I have also had meetings with Connecting Shropshire in relation to broadband in the Loton ward and the local communities team who have brought me up to speed on various issues and projects. If you would like any further information on these specific areas please do not hesitate to contact me. 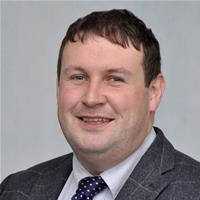 It is all change at Shropshire Council with the election of a new leader-Shrewsbury Councillor Peter Nutting and formation of the new cabinet. Details of which can be found on the Shropshire Council website I look forward to seeing you around about the ward in the coming weeks and months. As I settle in to the roll after several moths it is clear there is much work to do and I have been addressing a number of local issues for residents and working with parish councils as well on more general problems in each of the parishes. Please do get in contact if you have anything you think I can help with. edward.potter@shropshire.gov.uk or 07779117802. August seems to have been a quieter month at Shropshire Council with fewer meetings due to holiday season, however there are two very important consultations running at the moment which residents might feel they want to feed into. 1. Parking Strategy Consultation 2. Library Strategy Consultation. These can be found on the Shropshire Council Website, hard copies in Shire Hall or if you would like to feed any information to myself or the parish councils to make a collective representation please do so. Both run until the beginning of October. As the new cabinet and administration settle into their roles I am sure there will be more news and things will be full steam ahead as we head in to Autumn.